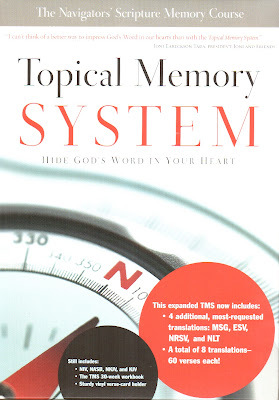 I remember I used to apply Navigators' Topical System to commit selected scriptures into memory but somehow I defaulted and did not have the discipline to persevere. 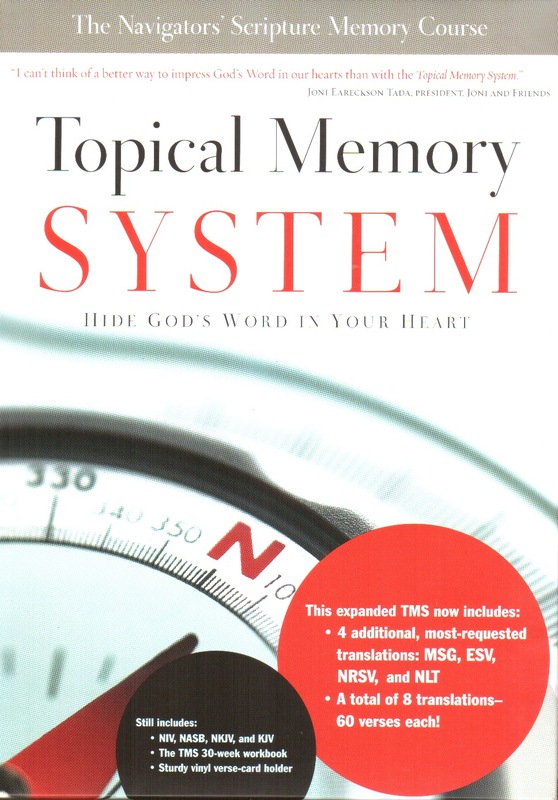 The Topical Memory System Kit (TMS), developed by The Navigators. is aimed to improve your knowledge of the Bible, deepen your walk with God, and memorize verses that will carry you through the hard times of life. I find that having the workbook together for me to work through the scriptures are incredibly useful. It makes the scriptures come alive! It helps me to reflect and think through. It helps me to apply the scriptures in real life situations. To give an example, for Week 1 Series A (Live the New Life), the verses to memorize are 2 Cor 5:17 and Galatians 2:20. What has happened to your "old" life? And these questions remind me that the very essential thing that truly allows me to live as new life is about being in Christ. It is not about me, it is not about what I have done and not done. The old life is gone! The old life is dead and I do not need to obey to the lustful desires of my old life. The more I spend my time living the new life that Christ has enabled me to do so, the more I want to desire the new life. And the last question helps me to reflect on what had happened to my life ever since I become a new creation in Christ - hating the things that I used to tolerate, becoming more aware of sins as things that displease God, etc, etc - these are the slowing moving process that shape me day by day into the likeness of Christ, my Savior. The complete set of these verses with commentaries (both in free audio mp3 download and pdf a single bundled file) can be accessed here (in the Navigators' Discipleship Library). Ben Koch has put all 60 TMS verses to music. Although the songs are short, they are good for aiding memorization.